A flip book sample inside your FB page. Better engagement with your Facebook audience. Increase the likelihood of more people “Liking” your page. Buy buttons with links to online retailers like Amazon, Kobo, etc. The BookBuzzr Read My Book App comes with a 100% Money Back Guarantee. 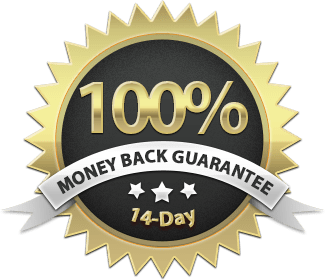 If for any reason you are not fully satisfied wIth your purchase, contact us within 14 days of placing your order for a full refund. Facebook has more than 1 billion users worldwide, and it is one of the first topics of conversation when discussing online marketing plans for books. Facebook is an excellent platform for building brand awareness of who you are and what you stand for. Over time, you will become more visible and identifiable. The first step of setting up your book presence on Facebook is setting up a Facebook page. Hiring a professional to setup & build a FB Page would ordinarily cost an author at least a few hundred dollars. So, we have created a simple and powerful app for your Facebook Page called "Read My Book". Setting up the FB page can take a lot of time and effort. Embedding the book excerpt into your FB page is not easy. You will have to manually add links to online book stores. Easy to setup & use in minutes. 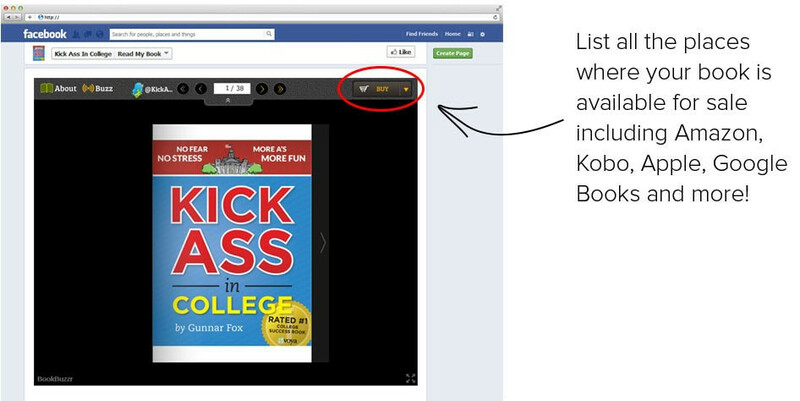 You can easily and effectively showcase your Book Excerpt on your FB page. Links to online book stores are automatically added from your book BookBuzzr profile.